Below are some examples of tailored holidays we have organised for our guests. We have run many very successful holidays for groups and families requiring something a little different from our standard tours. We are also experienced with the requirements of large international tour groups, School, College and University groups as well as small private parties looking for an unforgettable and expertly organised experience in the mountains. We were approached by a walking club who had 20 members that wanted to do a 6 day hike in the Mont Perdu area of the Pyrenees. Working with them, we discussed their level and suggested different routes until together we came up with their perfect bespoke trekking holiday. At their request, we provided them with an all-in price, which included airport transfers, full-board accommodation and, of course, their own qualified, experienced guide (an International Mountain Leader). A group of friends contacted us, saying they wanted to walk across the Pyrenees, including Gavarnie and Ordesa. We told them that they couldn’t walk across the Pyrenees unless they had 6 weeks to spare! Instead they we settled on a traverse from France into Spain divided into a 5 day trek from France through the Breche de Roland into the Ordesa canyon, then 5 days based from a comfortable hotel in Ainsa, exploring the Spanish foothills on day walks. This large family group wanted a one week walking holiday seeing specific highlights of the Pyrenees. We started in the Val d’Azun and walked part of the “Tour de Val d’Azun” from Arras en Lavedan to Arrens Marsous. Then from Lac d’Estaing we walked to Cauterets, then Cauterets to Luz, then Luz to Barèges. Their 3 days of walking, based from our comfortable 3-star chalet in the French mountain village of Barèges, took them to three of the most spectacular areas of the High Pyrenees. They went to Gavarnie, Troumouse and the Glere lakes. The Fukuoka walking club wanted an intermediate to advanced level tour staying in a comfortable hotel for three nights to cherry pick the best of the day walks in the Pyrenees National park and the Neouvielle nature reserve followed by a refuge based mini-trek taking the group into Spain. This was followed by a relaxed tour of the ancient Kingdom of Aragon before returning before finishing in Barcelona and flying home. Please click on the links below for fully detailed PDF trip notes for some of the bespoke tours that we have put together. Please note that quoted prices in these pdfs have been struck through, they are historic and dependant on the specific requirements of the group concerned. The French and Spanish Pyrenees. 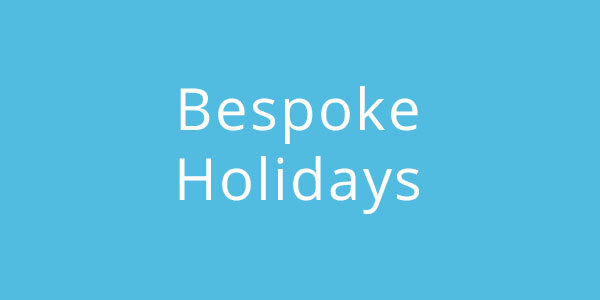 We can create bespoke holidays for any winter and summer activities. Please contact us for more details and to discuss your tailor-made holiday.